Lately I have started exploring the different uses of coconut oil. Not only is it an amazing and healthy food to cook with but it also has some incredible beauty benefits that gives seriously amazing results. I thought that today I would share with you all how you can use coconut oil. 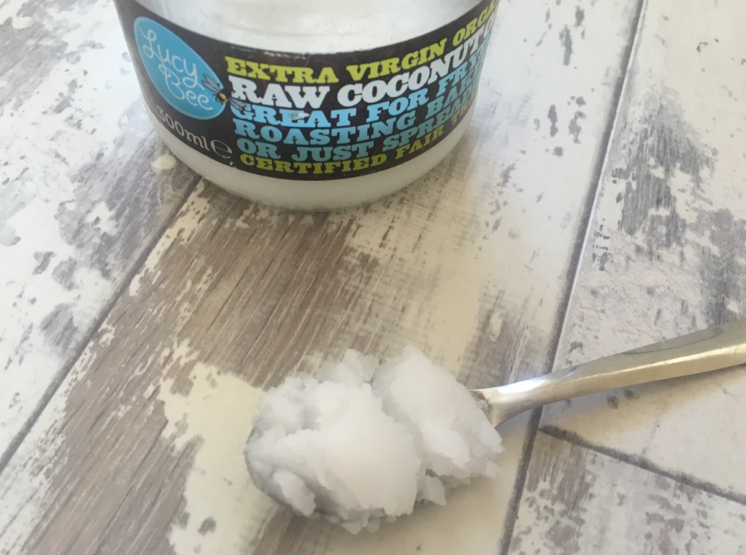 The brand I use is 'Lucy Bee Extra Virgin Organic Raw Coconut Oil', which is 100% vegan, gluten free and fair-trade- which is a massive bonus in my book!!! at only £6.99 it is an absolute steal and a lot cheaper than some of the high end beauty products I used to use. My favourite use for coconut oil, is as a conditioner or hair mask. It makes your hair soft like nothing else can. As it is a natural product it won't cause any damage to your hair and is super moisturising. It is such a lifesaver for dry, damaged and frizzy hair, after reading an article about coconut oil I have since been mixing a small amount in with my conditioner and have started to notice a big difference, in how soft and sleek my hair has been looking. Since using it my hair has been getting a lot less tangled from day to day. You can also use it as an overnight mask- though you do have to be careful when leaving it in your hair for a long period of time, it may take more than one wash to get rid of the greasy feeling - but at the end of the day your hair will look so much better for giving it that deep conditioning. Coconut Oil can also be used to remove your makeup, it's a miracle for removing stubborn mascara and liquid lipstick. The only downside for me personally is that I have dry skin and I do feel that when I use coconut oil it does dry my skin out, so I tend to only reach for it when I am wearing a lot of heavy stubborn makeup - because nothing else removes it better!! Coconut Oil is amazing at getting rid of under eye circles, it is prefect to use around your eyes as its such a gentle product. It can also be used on your cuticles!! There is know denying the many benefit of the famous coconut oil and I am always intrigued to learn what other uses it has. Let me know how you like to use your coconut oil in the comments below. It's amazing how coconut oil do wonderful things and thanks for sharing all these great beneficial use. I'm obsessed with coconut oil. It's definitely product of the year for me - haha. Great post. Keep up the good work! I'm doing a Q&A on my blog soon. If you want, you can leave your question on my latest post. Thank you so much for your time. It definitely does have some great benefits that's for sure. I actually consume a tea spoon of it daily because it's good for you, and because I really love the taste! 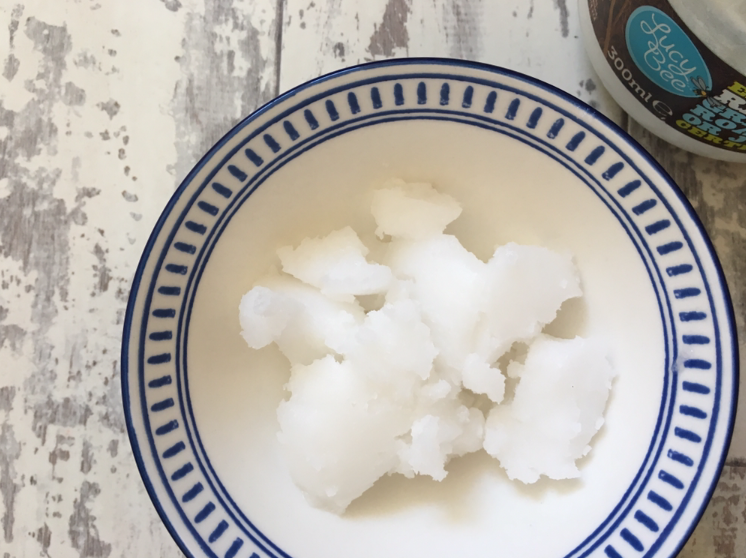 I love using coconut oil - it's a total beauty gem! http://bit.ly/2c6jwHR .. Fall makeup tutorial! A copper shadow! I love coconut oil. Its been a life saver for my hair and skin. I swear by coconut oil! So affordable but feels so luxurious. I hadn't thought of using it for cuticles but that is a fab idea! Definitely need to try that. I actually mainly use it in cooking.